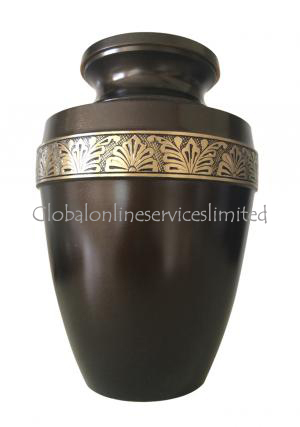 This classically designed urn is hand cast from the highest quality polished brass, and is finished in polished brass and brown brass. 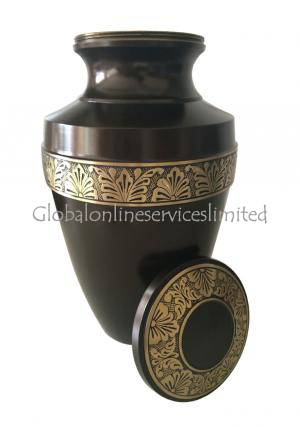 It features a beautiful simplicity of design, recalling the burial pots of the Ancient Greeks - a smooth, organic line offset by the floral brass detailing around the urn's breast, and again on the lid. 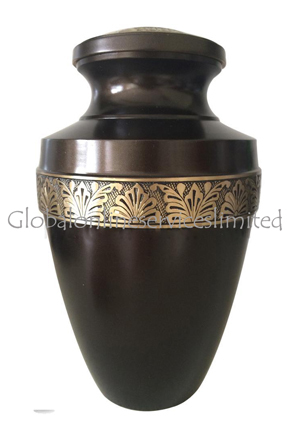 The half-domed lid is affixed to the urn using a reliable screw thread, to ensure that it may be carried and stored with confidence. 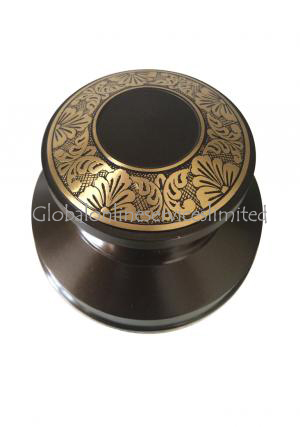 The excellent finish on the brass will, with the proper care, retain its lustre and beauty for years to come. 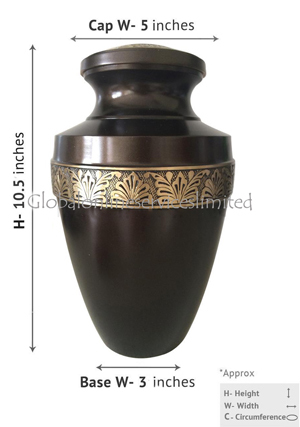 Our urns are delivered in extra-tough, durable packaging to protect their beautiful finish and to ensure they arrive with you in the same perfect condition in which they left our depot. Our urns are delivered free of charge throughout the United Kingdom, and are also delivered outside the UK - for outside UK delivery just contact us. You can buy with confidence directly through our site (we use PayPal); or you can call us to complete your purchase with equal security.